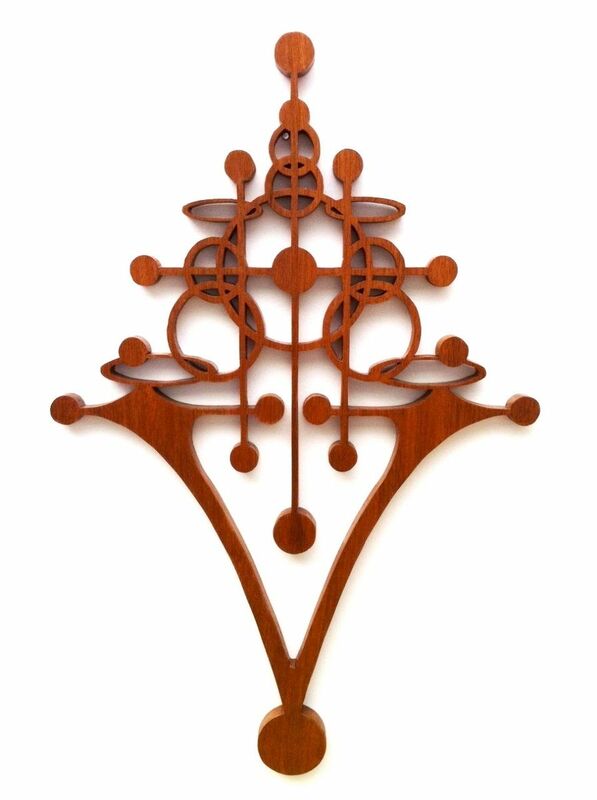 This is a wonderful mid-century modern inspired fretwork made out of Mahogany hardwood. It has been made by an expert craftsman. It measures 19.5" high x 12.5" wide x 1/2" thick. It comes with a wall hanging bracket already attached. It has been clear coated to ensure a long lasting quality finish. This piece would make a great addition to any modern home.